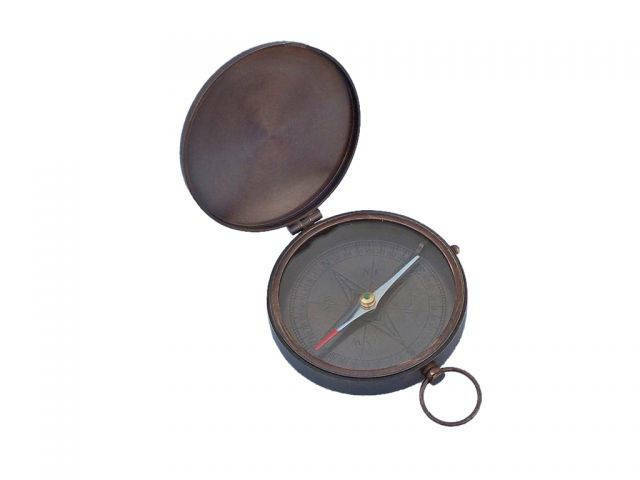 Bronzed Gentlemen's Compass With Rosewood Box 4"
The Hampton Nautical Pocket Compass is truly a great gift to any nautical enthusiast in your life.This timeless navigational piece is bronze, and can be stored in one's pocket or in the solid rosewood box. 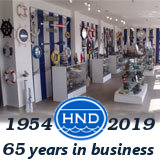 This bronzed compass comes with a rosewood box that has the Hampton Nautical anchor with rope logo embedded into the top. The box is a smooth and polished finish wood with a green felt on the inside to protect the compass.